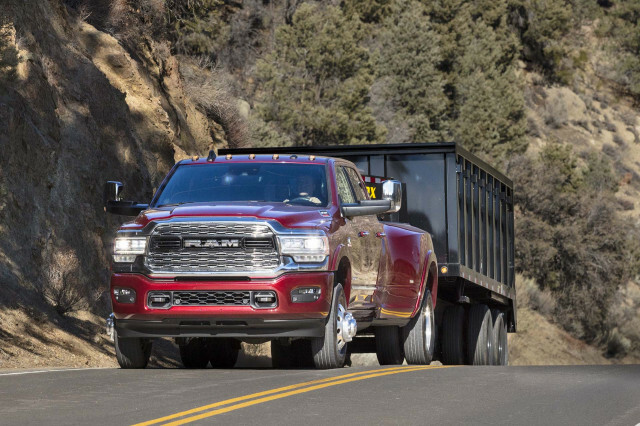 The 2019 Ram 2500 and 3500 heavy-duty trucks can tow up to 35,100 pounds and can boast a turbodiesel with 1,000 pound-feet of torque, but they do even more than those massive numbers indicate. The theme with the latest, big daddy Ram is more: More power. More gears. More technology. More refinement. More capability. More safety. Ram flew us to Las Vegas—where more is practically the city’s slogan—to put the 2019 Ram 2500 and 3500 Heavy Duty lineup to the test with big loads behind these big trucks. After some time behind the wheel, it’s clear Ram’s created a refined, tech-laden, confidence-inspiring hauler. 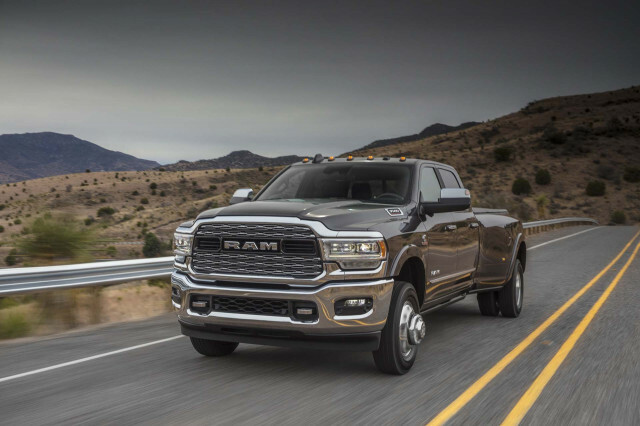 The base Ram 2500 HD engine is now a 6.4-liter V-8 with 410 horsepower and 429 pound-feet of torque hooked to an 8-speed automatic transmission. In light-load situations, it can shut down four cylinders to save fuel. Anyone with serious hauling ambitions will want to spend $9,100 for the 6.7-liter turbodiesel inline-6 Cummins engine with 370 hp and 850 lb-ft of torque teamed to a 6-speed automatic transmission. 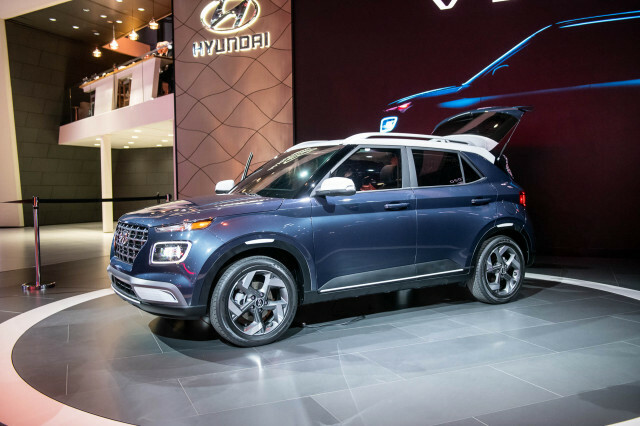 With a graphite engine block, lighter pistons, and other various bits, the engine is 60 pounds lighter than the 2018 version. But that’s the only thing that’s less about the new Ram. To hit the Ram 3500 HD’s maximum rating of 35,100 lbs (or anything close to it), budget $11,795 for the high-output turbodiesel with 400 hp and a whopping 1,000 lb-ft of torque hooked to an Aisin 6-speed automatic transmission. The 6.4-liter V-8 is powerful, but it’s the 8-speed transmission that dials in refinement. 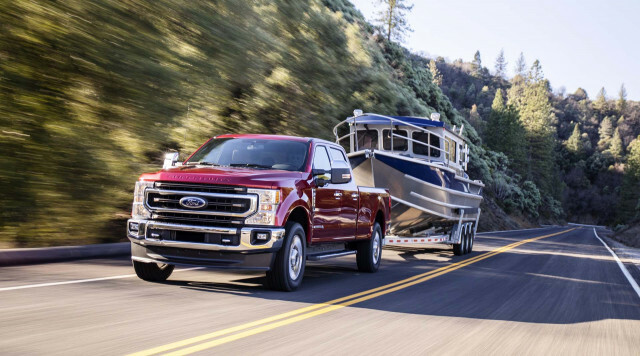 With more gears to work with than last year’s 6-speed, the truck launches harder, shifts smoother, and cruises down the highway with a calmer, less frantic engine. Even though the gas V-8 is a strong choice, Ram figures most buyers will again bypass the base engine for the turbodiesel. Whether hooked to 14,900 pounds, 35,100 pounds, or no load at all, the inline-6 is refined at idle and delivers power smoothly with no rough rumble translated to the steering wheel thanks to various anti-vibration devices. 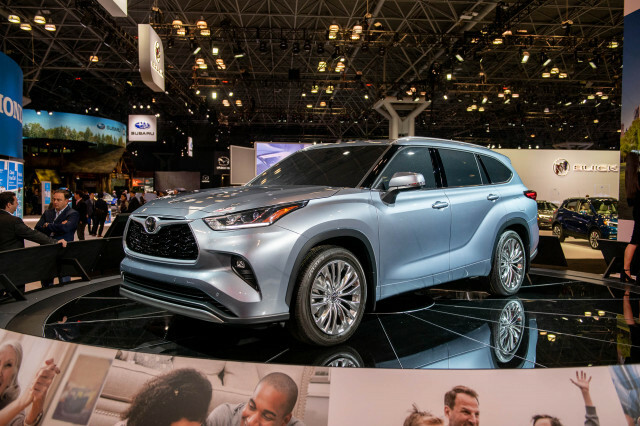 Active noise cancellation, sound deadening, and acoustic glass make upper trim level cabins noticeably quieter than the previous heavy-duty trucks, too. Both turbodiesels pull from a well of seemingly endless torque, but it’s clear from the moment the gear selector is moved to drive and the front end lurches forward that the high-output Cummins has far more torque on tap. There’s no forgetting these are massive trucks with incredible capabilities, but when loaded, whether at half the limit or the full limit, the trucks inspire confidence with progressive power delivery, stable ride, and strong but not grabby brakes. The heavy duty’s new look for 2019 is the “Honey, I Blew Up the Truck”-version of the Ram 1500. It’s the details where the trucks separate. 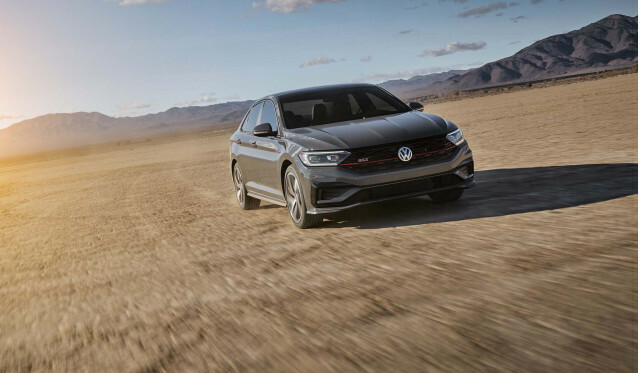 The wheels are different, the exhaust tips aren’t integrated into the rear bumper design on any trim, and headlights are larger on the Ram HD. 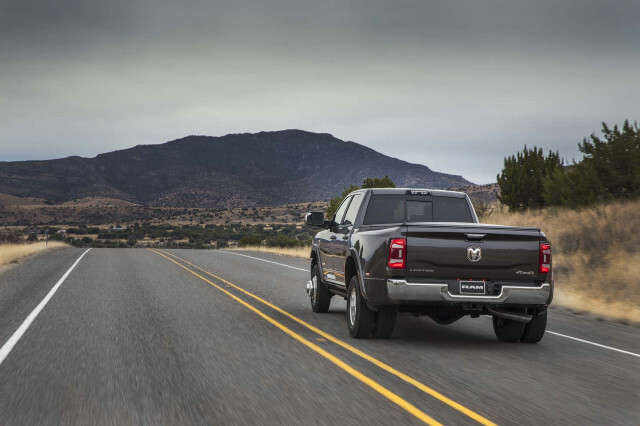 The Ram HD can be had in regular- and crew-cab versions like the 1500, but the Mega Cab’s 2.9 inches of extra rear leg room, reclining seat backs, and additional storage for tools is exclusive to the heavy-duty trucks. Because: more. There’s more grille—30 percent more, Ram says—and it hides active grille shutters on certain versions to improve aerodynamics in the name of saving fuel and extending range. Inside, the already fantastic 1500’s interior has been ported over to the big rigs. 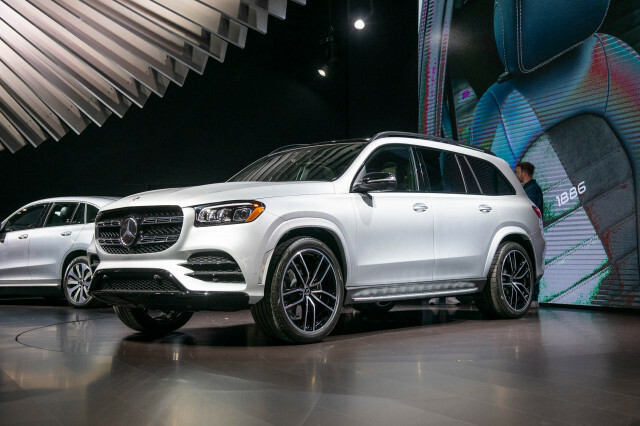 It can go from Tradesman basic to city-slicker Limited with upgraded materials and features such as a 12.0-inch vertically oriented touchscreen for infotainment.You’ll pay for more, of course, and a loaded Ram 3500 HD runs about $80,000. 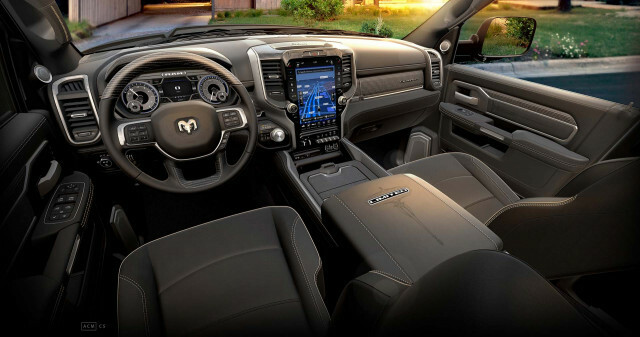 Regardless of trim level, all Ram heavy duty interiors are functional and chock full of storage cubbies including room for a 15-inch laptop in the available center console. Bringing the power to the people are five USB ports, four type-C ports, three household-style outlets plus a fourth in the available Rambox storage bins tucked into the bed walls. One omission? A telescoping steering wheel, which you can’t add for any price. 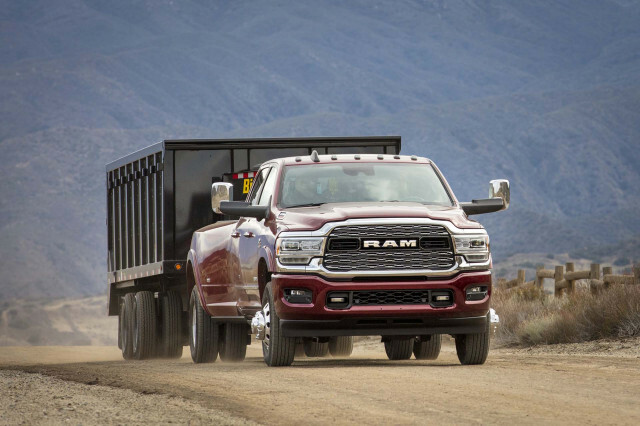 Every 2019 Ram 2500 and 3500, from the basic Tradesman to the slick Limited, can be optioned with automatic emergency braking, blind-spot monitors, parking sensors, a surround-view camera system, and a cargo camera setup. More importantly, nearly all of these features work while towing big loads. 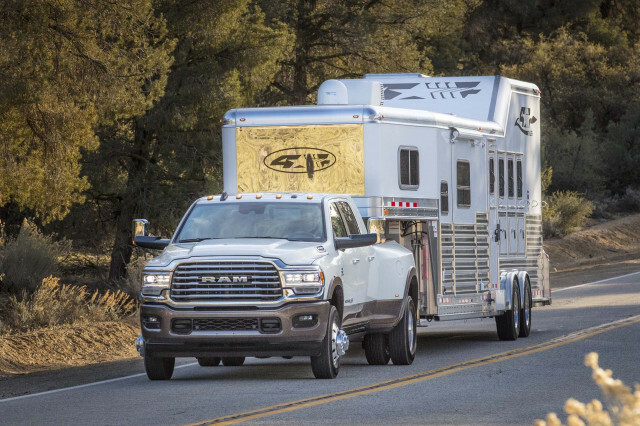 Beyond safety options, building a 2019 Ram heavy duty is an all-you-can-eat buffet of spend-up extras. 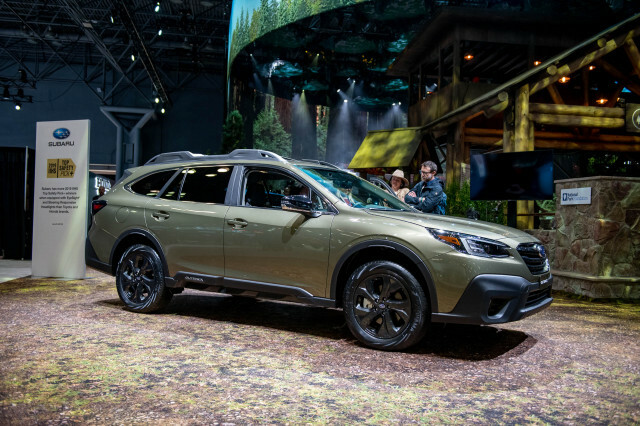 There’s an option package or feature for everyone, from blacking out all the trim or dipping bits in chrome to a snow plow prep setup and off-road goodies the list is endless. On sale now, the 2019 Ram 2500 and 3500 lineup starts from $35,090 (including a hefty $1,695 destination charge—again, more) and can grow to about $80,000 when loaded with all the goodies. 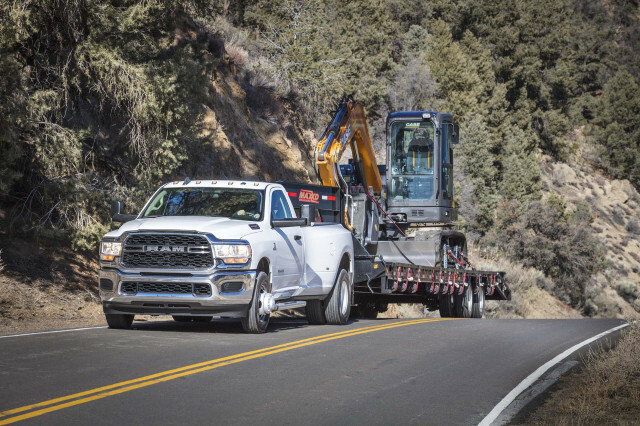 With the 2019 2500 and 3500 Ram didn’t just build a better truck, it built a benchmark in the heavy-duty segment in terms of refinement, technology, and capability. 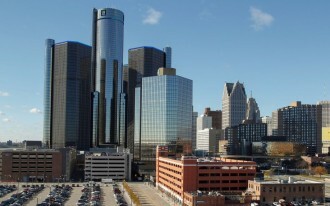 Ram provided travel and lodging to Internet Brands Automotive to bring you this firsthand report.